Bitcoin Could Have Died in 2010 - But Satoshi Nakamoto’s Hard Fork Saved It! 2010 was almost a decade ago. Bitcoin had been around for a little over a year - many markets were still recovering from the effects of the crash of 2008. Financially, it was a year of recovery. For Bitcoin, it was a year of growth. It was the year when Laszlo Hanyecz bought two pizzas worth 10,000 BTC. It was the year when the price of Bitcoin hit $0.1 for the first time. However, it was also the year Bitcoin could have died. In August 2010, a vulnerability was spotted in the Bitcoin code, as a result of which transactions were not being verified properly before being recorded in the Bitcoin blockchain. In the simplest of words - it would allow users to ‘create’ as many Bitcoins as they want - and send it to their accounts by exploiting this vulnerability. And this is exactly what happened! A hacker exploited this vulnerability in the Bitcoin code and generated 184.467 Billion Bitcoins using this. A massive number keeping in mind that only 21 Million Bitcoins could ever be in existence. These 184.467 Billion Bitcoins were then sent across to two Bitcoin wallet addresses. This incident was known as the Value Overflow Incident. Bitcoin’s white knight came along to save the day. The anonymous creator of Bitcoin, Satoshi Nakamoto himself came to the rescue as he noticed this irregularity in the Bitcoin blockchain. Nakamoto created a code to fix this bug within three hours. Assisting Nakamoto was Gavin Anderson, one of the first Bitcoin developers from the early days of the technology. Together, the two were able to erase this transaction from the transaction log of the Bitcoin blockchain. 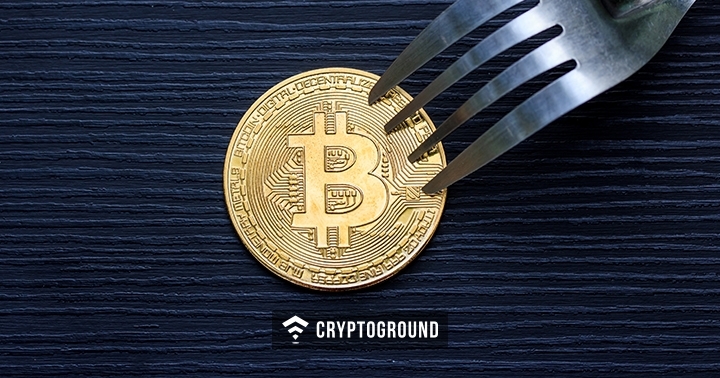 In 5 hours, a hard fork was carried out on the Bitcoin blockchain, bringing forth Bitcoin 0.3.1, which would ensure that such an incident can never take place. For a while, two versions of the Bitcoin blockchain existed: one that was the forked chain, fixed of all the bugs - and the other being the ‘bad’ blockchain where that bug existed. Satoshi alerted the miners to not mine the bad chain of the Bitcoin blockchain, ensuring the new blockchain becomes the dominant blockchain. Satoshi informed about 19 hours after the incident on the Bitcointalk forum that the new chain has become the dominant chain. This incident - till date, is the biggest flaw in the Bitcoin blockchain. There have been other problems from time to time - but none were perhaps as severe as this one. Had the flaw gone unnoticed or unrectified for a longer duration - there was a good chance that the price of Bitcoin could have fallen to zero. What truly gives Bitcoin value is the fact that there can only ever be 21 Million Bitcoins in circulation. Had there been an infinite supply of Bitcoins and anyone could conjure up Bitcoins at will - there would be no utility for such a token to exist. Hence, this could have ended the Bitcoin dream even before it actually started off. Today, over 17.5 Million Bitcoins have been mined - and Bitcoin has hit a high of over $19,000. Thanks, Satoshi, for saving the day! Stay tuned with us at Cryptoground for more interesting stories and news updates from the world of cryptocurrencies and the blockchain technology.